With spring starting to turn into summer, take this opportunity to do something different and unexpected with your yard. Here’s some advice on how to incorporate gravel into your Joppa landscape. The landscape around the exterior of your Joppa home can make an enormous difference. First of all, you want to be sure that you can boost your curb appeal and make your home feel inviting whenever you have guests such as your neighbors and friends over. With spring starting to turn into summer, take this opportunity to do something different and unexpected with your yard. Here’s some advice on how to incorporate gravel into your Joppa landscape. Whether you’re looking to prepare your backyard garden for a new crop of vegetables or plants, you’re going to need to be able to get around. One way to do this is to start putting some gravel in your garden. You can build a path into and through your garden that makes it easier to move around in, especially if you have a large plot set aside for it. You can also experiment with using gravel to serve your garden in place of mulch. That way, you won’t have to rely on plain fill dirt or asphalt when you’re trying to expand your Joppa landscape. With the weather warming up in Joppa, you’ll want to spend more time out on your patio. Did you know that you can use gravel to upgrade the aesthetic of your patio? When you use gravel, you can prevent weed growth and provide some contrast for the patio furniture and other outdoor features you’d like to have. You’re bound to have other walkways around the outside of your house. 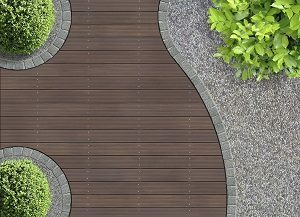 Enhance these walkways by finding ways to add gravel to them. For example, consider your driveway if you haven’t done so already. Although you wouldn’t immediately think so, a gravel driveway is easier to take care of than just a plain dirt road leading into a driveway. Plus, any damages from wind and rain during late spring storms will be easier to repair. This entry was posted on Friday, May 11th, 2018 at 8:40 am. Both comments and pings are currently closed.